The Titan X Pascal, considered the best graphics card you can buy… just got better. 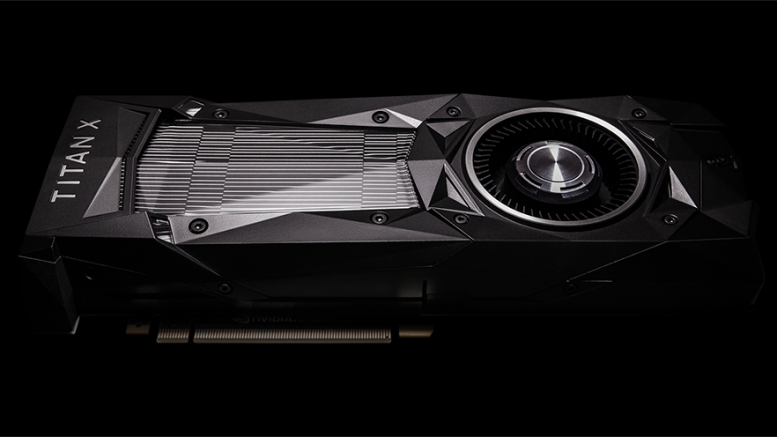 On April 6, 2017, Nvidia announced a new addition to their enthusiasts grade GPU family, the Titan XP. The Titan XP is incredibly fast and runs cool while doing so but that comes at a very, very, high cost. The Titan XP runs faster and a little cooler than its older counterpart, the Titan X Pascal, but besides the faster performance and slightly better cooling there isn’t that much different between the two. Today we will be looking at the specs, benchmarks, price and performance of the new Titan XP. The Titan XP is the best GPU on the market, and its spec are, as Elijah would say, BLAZINGLY FAST. Titan XP runs on the same GP102 die as the Titan X Pascal, but sports a fully unlocked version of the processor. The GP102 is the graphics chip. The fully unlocked version of GP102 sports the same 16 nanometer process as the X Pascal and 1080 TI. All the GPU’s share the same number of CUDA cores per SM activated. However, the XP has 60 SMs, while the X Pascal and 1080 TI have 56 SMs. This gives the Titan XP a total of 3840 CUDA cores, while the other two GPU’s have 3584. The Titan XP and the Titan X Pascal both have a 384-bit memory bus and 12 GB of GDDR5X, while the 1080 TI only has a 352-bit bus With 11 GB of GDDR5X. The memory clocks in at 11.4 GBPS on the Titan XP, 11 on the Pascal, and 10 on the 1080 TI. They share the same TDP. The Titan XP and Pascal are both $1200. The 1080 TI is $700. The increase in specs as compared to the GTX Titan X Pascal and X shows in the performance benchmarks. The Titan XP’s specs make it a great video card for gaming. Here are some performance tests in benchmark software and various games. Titan XP managed an average of 94.5 fps in 1080p, HD settings while the card was overclocked 1898 MHz. The Titan XP scored 15114 in Fire Strike Extreme while the GPU’s clock speed was 1898 MHz. 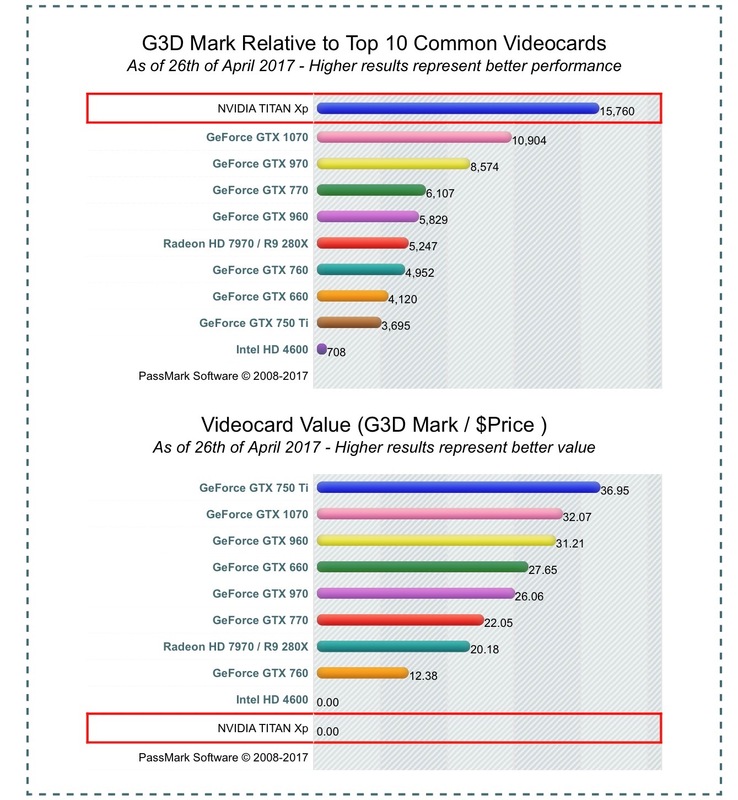 The GPU showed some solid performance numbers and is fairly consistent with a 10% increase over the GTX 1080 Ti (or the stock TITAN Xp). The Titan XP scored 15760 on G3D. The Titan XP scored less than 0 on a price/performance. Thanks for reading our article. If you have any feedback please comment. And remember, blazingly fast performance is the only performance!